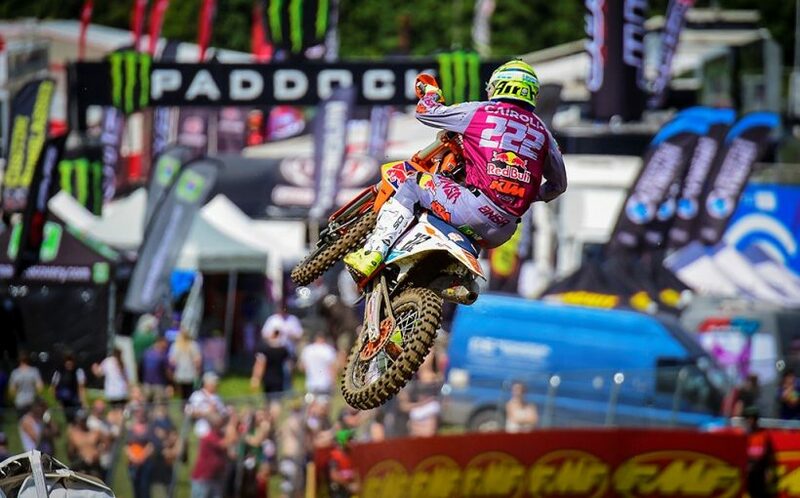 CAIROLI AND PRADO ON THE GAS IN GREAT BRITAIN. 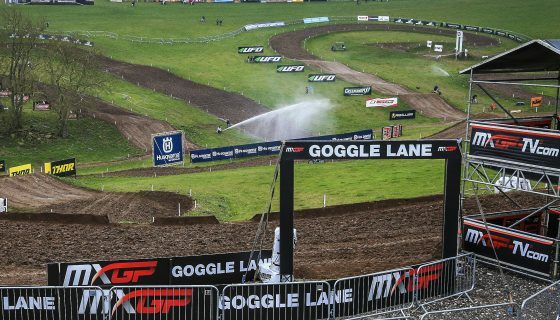 The 2018 MXGP of Great Britain is underway at the Matterley Basin circuit after today’s busy Qualifying races. Gifted with warm weather and sunshine the grass lined and hilly British track was epic today. Taking holeshots and winning their respective qualifying races by massive margins were Red Bull KTM Factory Racing’s Antonio Cairoli and Jorge Prado. 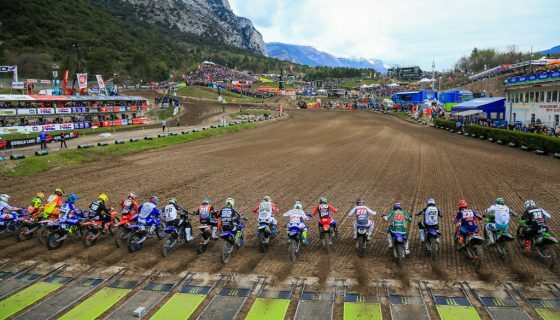 The circuit, which hosted the 2017 Monster Energy FIM Motocross of Nations Presented by Fiat Professional, was in top shape today after rain earlier in the week created perfect soil. 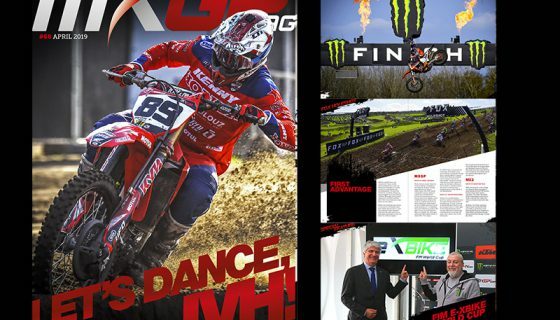 The MXGP and MX2 class where also joined by the first races of EMX250, EMX300 presented by FMF Racing, and the FIM Veterans Motocross World Cup. Regardless of the class on track the racing was always full of action! The ultra competitive EMX250 class had 73 riders entered but taking the Saturday race win was Carglass Honda Racing’s Steven Clarke in a wild last lap pass for the lead on Tom Vialle. Winning Race 1 of EMX300 Presented by FMF Racing was one of the British favorites, Verde Substance KTM’s Brad Anderson. Anderson held on to the win against a late charge from Vaclav Kovar who took second ahead of Ashley Wilde. In the FIM Veterans Motocross World Cup first race of the weekend Martin Zarava took full advantage of a strong start and beat out KTM Rocket Junior’s Mickael Pichon, a two time FIM Motocross World Champion. Straight from the start Red Bull KTM Factory Racing’s Antonio Cairoli set a blistering pace, with the Holeshot and a clear track ahead he sprinted away from the MXGP field. Just behind Cairoli was another Red Bull KTM but instead of the usual Jeffrey Herlings chasing the #222 it was Glenn Coldenhoff. Herlings however wasn’t much further back than Coldenhoff as he sat in 4th position. Splitting the KTM trio was Team HRC’s Tim Gajser who gave chase to Coldenhoff in 3rd. Gajser was on the back wheel of Coldenhoff lap after lap as Cairoli slipped away and Herlings dangerously lingered behind. Running a surprisingly strong qualifying race in 5th and 6th were the two Brits of Rockstar Energy Husqvarna Factory Racing’s Max Anstie and Bike It DRT Kawasaki’s Tommy Searle. Anstie led Searle for the first 5 laps before Anstie fell in a turn on the bottom section of the track. The fall dropped Anstie to 9th and moved Searle into 5th briefly. Only one lap after Searle moved into the top 5 he was forced out of it by Monster Energy Kawasaki Racing’s Clement Desalle who was on his way forward from 8th on the first lap. At the same time Herlings started to charge and quickly caught the Honda of Gajser. On lap 8 Herlings moved to 3rd and on the next lap he continued his charge to take 2nd from Coldenhoff. Cairoli however was too far gone and finished the race 20 seconds ahead of Herlings, Coldenhoff, Gajser, and Desalle. MXGP Qualifying Race Top Ten: 1. Antonio Cairoli (ITA, KTM), 25:51.194; 2. Jeffrey Herlings (NED, KTM), +0:20.021; 3. Glenn Coldenhoff (NED, KTM), +0:24.133; 4. Tim Gajser (SLO, Honda), +0:28.038; 5. Clement Desalle (BEL, Kawasaki), +0:32.821; 6. Gautier Paulin (FRA, Husqvarna), +0:35.508; 7. 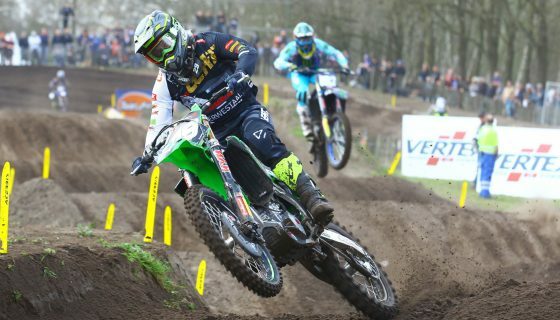 Tommy Searle (GBR, Kawasaki), +0:37.473; 8. Jeremy Van Horebeek (BEL, Yamaha), +0:44.604; 9. Max Anstie (GBR, Husqvarna), +0:46.521; 10. Romain Febvre (FRA, Yamaha), +0:48.041. Red Bull KTM Factory Racing’s Jorge Prado has clearly been reading the playbook of his older teammate Antonio Cairoli as he took the Holeshot of the MX2 Qualifying Race and checked out from his competitors. Prado rode full of confidence and flow throwing whips and scrubbing jumps all while gaining time on the rest of the field. Chasing Prado from the first turn was the MX2 points leader and his championship rival Pauls Jonass aboard another Red Bull KTM Factory Racing machine. Jonass simply couldn’t match the pace of Prado and was instead in a battle of his own to hold off Rockstar Energy Husqvarna Factory Racing’s Thomas Kjer Olsen. Olsen was followed by the British fans MX2 favorite, Kemea Yamaha Official MX2’s Ben Watson. Watson’s good start helped him to close in to within striking distance of Olsen but at about the halfway point Watson had to ride defensive because the returning Team 114 Motorsports rider Hunter Lawrence was coming up fast. Lawrence was 7th on the opening lap but by the time he made his way to 6th he had a gap up 5th. Lawrence was able to reel in Team HRC’s Calvin Vlaanderen and made the pass on lap 6. Also coming up through the field was F&H Racing Team’s Jed Beaton after an early fall. Beaton was able to charge his way forward and pass Vlaanderen for 6th with 2 laps to go. Prado went on to take home the win with Jonass second, Olsen third, and Watson 4th. MX2 Qualifying Race Top Ten: 1. 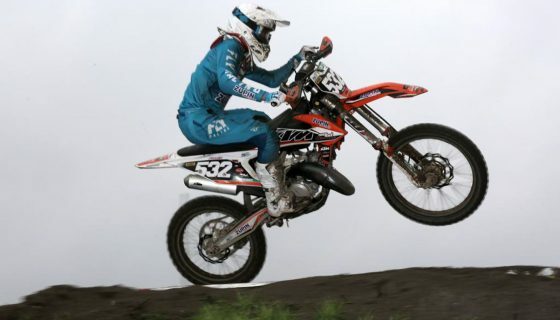 Jorge Prado (ESP, KTM), 26:32.136; 2. 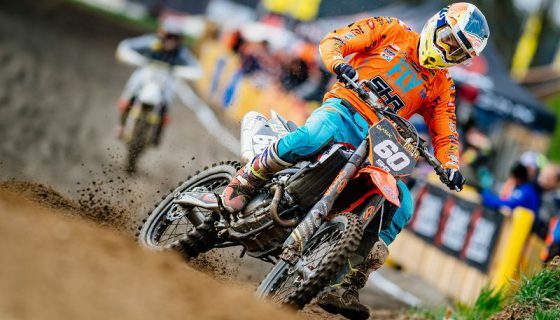 Pauls Jonass (LAT, KTM), +0:06.044; 3. Thomas Kjer Olsen (DEN, Husqvarna), +0:07.270; 4. Ben Watson (GBR, Yamaha), +0:12.487; 5. Hunter Lawrence (AUS, Honda), +0:13.580; 6. Jed Beaton (AUS, Kawasaki), +0:14.388; 7. Calvin Vlaanderen (RSA, Honda), +0:19.818; 8. Michele Cervellin (ITA, Yamaha), +0:25.368; 9. Iker Larranaga Olano (ESP, Husqvarna), +0:28.663; 10. Ruben Fernandez (ESP, Kawasaki), +0:35.801.